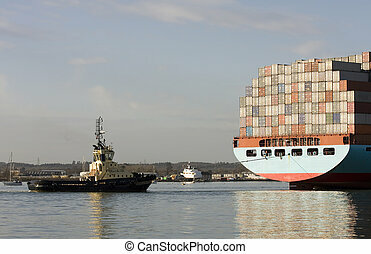 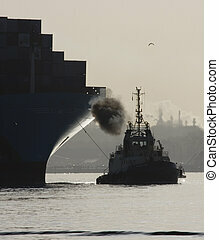 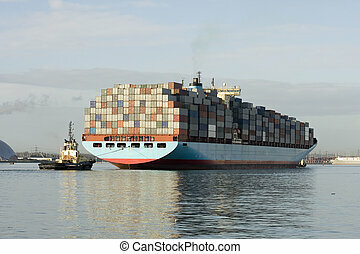 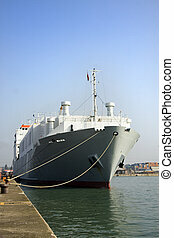 Cargo ship emerges from dock, southampton, uk. 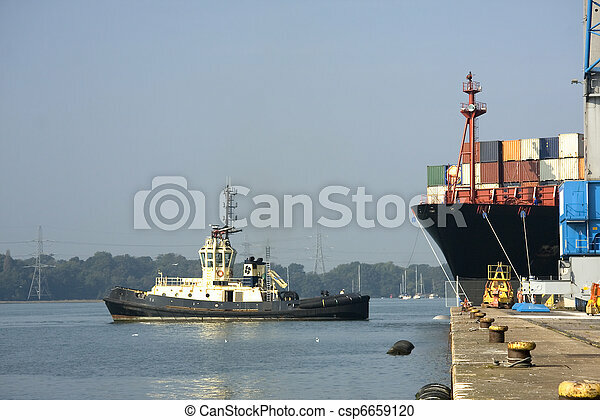 Ship in port, Southampton, UK. 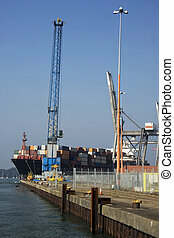 Crane and containers on dockside - all logos removed or obscured. 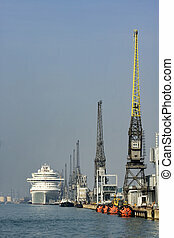 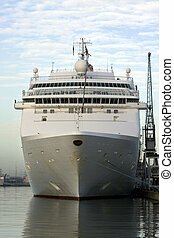 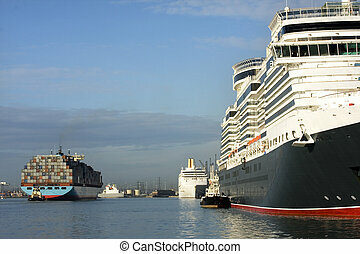 Container and cruise ships in busy port of Southampton, UK.